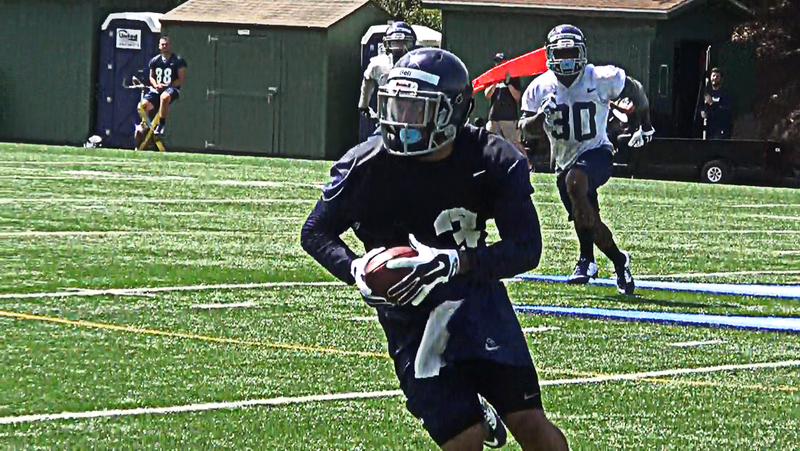 Senior WR Reggie Bell (#3) hauls in a pass during USD fall camp. The University of San Diego Toreros held it's first fall football practice at Manchester Field Wednesday morning. We caught up with sophomore quarterback Keith Williams and second-year head coach Dale Lindsey to get their take on the upcoming season.